Yardley London is famous as a purveyor of luxury fragrances and soaps. But did you know that the much-storied House of Yardley was born in England in the mid-seventeenth century, during the reign of King Charles 1? In the Great Fire of London of 1666; This first incarnation of Yardley was lost, but a century later, in 1770, the Cleaver family established Yardley London, creating the soap and perfumery business we know today. Their Lavender toilet water was their first best seller. I first want to talk about the Yardley's English Lavender soap! 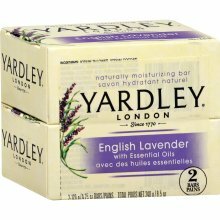 It's all about whether the "Made in England" Yardley smells better than the Yardley English Lavender bar soap made in the U.S. Both are honest-to-goodness fresh smells, each smelling robustly of real Lavender. Over 5 years ago, Yardley of London English Lavender changed their soap and toilet water formulas. The soap didn't smell the same and was no longer an olive green but cream color. This soap is still the reformulated cream, but the scent is stronger and it's labeled Yardley of London English Lavender, not Yardley Lavender. I have no idea what the difference is, but this is far superior to the latter. The English soaps are flatter; the ones made here in the US are rounded on top. Both lather up well and do not end up a round piece of mush when it gets wet. I love Yardley's English Lavender bar soap. The bar lasts quite some time and it will last even longer if it is aged for a few months prior to use, although it will lose some of the smell, so I usually unwrap it and place it in my dresser drawers and linen closet where it gives a clean, delicately, soft lavender scent to my garments. Not only is this a good quality soap, it is readily available and is much less expensive than soap of similar quality imported from Europe. I did learn that it's not very moisturizing and can actually dry out your skin if you're in the mood for a lot of lather during the winter months, it will help if you put lotion on after your shower to help minimize any dryness, but it could be my skin type. However, being a lavender lover, I find that the scent in this soap is really extraordinary. The scent is on the rounder, muskier side--not lemony or citrusy like some lavender varieties that I am aware of. If you have never used a French milled soap, give this a try. Highly recommended. My all time favorite is the Yardley Oatmeal & Almond Moisturizing Bar. I have tried numerous soaps for my dry, very sensitive skin and this is the only one I found that works great! I have used the Oatmeal and Almond soap for YEARS! It's inexpensive and it smells sooo awesome. It works especially good on my face, but I also like to use it in the shower. It is the only soap that doesn't make my skin feel oily or sticky. In fact it's the only soap that makes me feel clean all over when I get out of the shower. 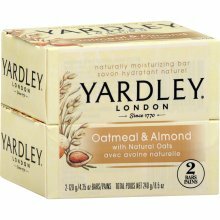 Yardley Oatmeal & Almond Moisturizing Bar, Combined real oat grains and almond essence in a gentle cleansing and exfoliating formula that soothe the skin. The particles are not abrasive at all. It has a delicious scent of crushed almonds and oatmeal, it smells like almond cookies to me! Given a choice between homemade lye soap and a Yardley soap, these were extraordinary luxuries in the seventeenth century. The ingredients are simple, and Yardley soaps have been consistently non-allergenic. Having said that, "moisturizing" may be a bit of a misnomer in a product setting that has non-soap soaps like Dove and Tone. This is not a moisturizer with a small trace of soap that's been hardened into a soap bar. It's soap, it lathers, removes dirt and oil, and leaves skin clean, that is what I love so much about the Yardley Oatmeal & Almond Moisturizing Bar. I expect all the oils and surface matter to be off my face. Yes it has a moisturizing agent, but it's not exactly a moisturizing bar. Now that I am old enough to use night cream, moisturizing after is not a problem. In other words, I expect soap to clean, and moisturizer to moisturize. I don't conflate the two. Yardley soaps, including Almond and Oatmeal, are always a safe choice, they work well and never irritate my skin. I hope they never, ever stop making this soap!! For my vegan friends that are looking for a vegan soap (soap that does not contain animal ingredients.) This product has been listed on some sites as a vegan soap. But that is not the case. The first ingredient listed is sodium tallowate (tallow is rendered beef fat.) It also contains glycerin. Typically, if a label does not mention if the glycerin is from a vegetable source you can usually assume that it is animal derived. So, if you're looking for vegan soap, this product does not qualify. Sodium Tallowate, Water (Aqua), Sodium Cocoate, Glycerin, Fragrance (Parfum), Lavandula Angustifolia (lavender) oil, Sodium Chloride, Titanium Dioxide, Tetrasodium EDTA, Iron Oxides. I get my Yardley Soaps at my local Walgreens. Thanks Walgreens for providing this wonderful soap to consumers like me. Great bar soap and unbeatable value! I did not receive any form of compensation from the company. All opinions are my own and not influenced in anyway. My reviews are not always positive, but they are my personal and honest opinions. Other people's views and experiences with the product or products might be different from mine. Open to US Residents only, unless otherwise stated. The Mandatory Entry MUST be done first, before any extra entries. If this is not followed, you may be disqualified from the giveaway. All winners have 48 hours to respond to my email before a new winner will be chosen. 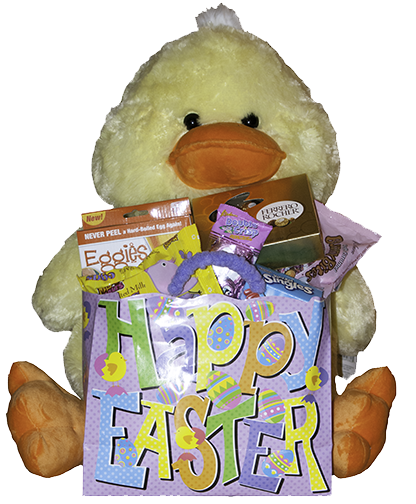 No purchase is necessary to enter any of the giveaways.